Performing at weddings is not just business to Georgie, it’s also a passion. She has been a part of many weddings from Broke to Byron Bay, and is always willing to go the extra mile to make her bride’s feel special & stress free on their big day. Georgie is a firm believer that love is love and equally accepts and adores all her couples.The down-to-earth, bubbly, and sweet redhead has an angelic cadence to her voice that lends itself to love songs. 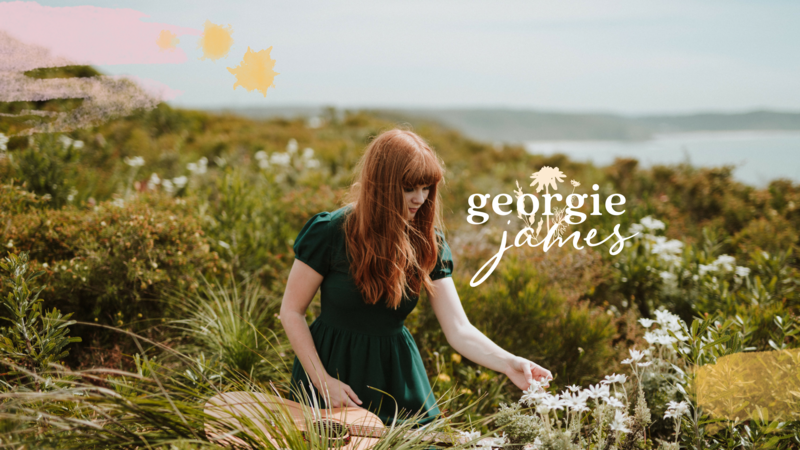 Georgies connection to and love of nature contributes to her easy-listening vibes and the classic almost vintage style of her music. Her musical influences are unmistakably drawn from artists such as Missy Higgins, Angus & Julia Stone, & Birdy and the folk/country genres. A versatile repertoire combined with her performance quality & presence makes her the perfect musician to feature at any event.